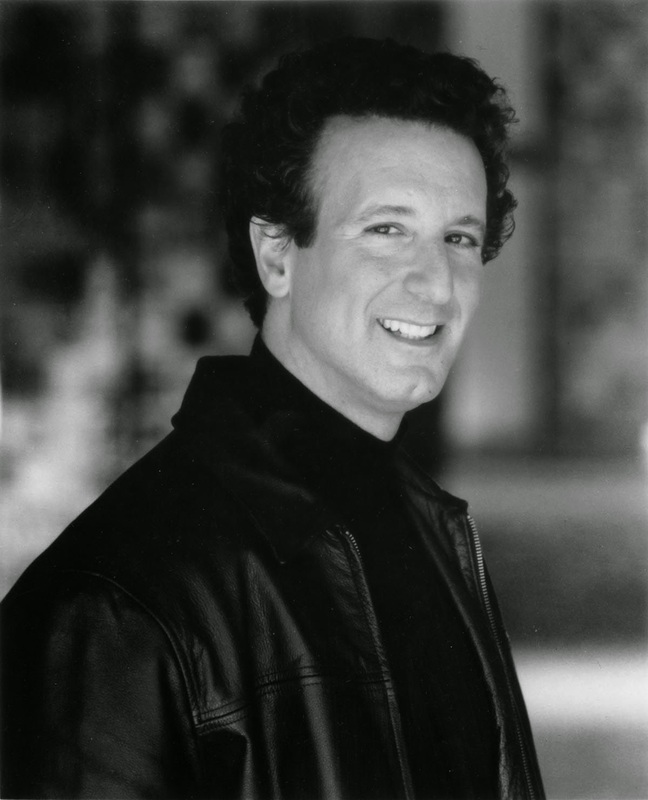 DEBORAH CROMBIE: Welcome to thriller-writer extraordinaire Jon Land! I just saw Jon at the Books in the Basin Literary Festival in Odessa, Texas (that's the Permian Basin, in case you were wondering), and how nice it is to have him here on JRW today! Jon is not only a writer whose output I envy, but a super nice guy. And when he guests on Jungle Red he always has something to say that really gives us reason to think. (And I love his Caitlin Strong books--can't wait to read the new one! Why isn’t there more romance in thrillers? Obviously I’m not talking about those titles shelved under the nebulous heading of “romantic suspense.” No. I’m talking about thrillers by the likes of Lee Child, Steve Berry, James Rollins, Brad Thor. Let’s explore. I believe it starts with the fact that the majority of thrillers unfold over a very short period of time—a couple weeks, ten days maybe, often even less. And that’s not long enough to build anything even remotely resembling Scarlet O’Hara and Rhett Butler of Gone With the Wind fame, leaving us mostly with existing relationships that are used as thinly disguised plot points. A kidnapped wife or lover, an ex-girl friend who turns out to be a femme fatale. In the wonderful suburban terror tales by the likes of the great Harlan Coben and equally great Lisa Gardner, the very nature of love, romance and the integrity of the family find themselves in peril, turned on their ear. Even that, though, often takes a backseat to the maneuvers and mechanizations of some creepy villain who’s pulling all the strings. Beyond that, thrillers are defined by the fact that lots, the whole world or at least country, is often at stake. And, let’s face it, who has time for romance when you’re racing to save millions of people from some despicable villain’s dastardly plot? It’s a matter of priorities and as far as the kind of books the best and biggest thriller writers are known for, romance doesn’t necessarily make the list. Sure, there are exceptions; Ken Follett’s Eye of the Needle, for example. David Morrell’s Double Image or The Shimmer come to mind too. With thrillers pacing is everything and normally that pacing doesn’t allow for the development of a relationship. But just because the vast majority of thrillers lack traditional romance doesn’t at all mean they aren’t romantic. Allow me to elaborate. Great thrillers, like all great books in general, are about emotion, about making us feel something. If we don’t have a reason to care, we don’t have a reason, really, to read. And that reason to care doesn’t have to spring from romance per se. Thrillers, you see, owe their structure to the western motif, the lone hero standing against the evil land baron to defend the frontier. These tales were almost never traditional romances, but they were inherently romantic. And the protagonists of some of our greatest thrillers today define the nature of the romantic hero perfectly. Lee Child’s wondrous Jack Reacher, for example. Reacher never stays in a relationship because he’s always on the move. His romance is with the great expanse that remains America, traveled in his case mostly by buses and hitchhiking. Reacher doesn’t have to be that way, he wants to be that way because it defines his nature as the quintessential loner hero in love with the anachronistic notion of owning no more than what he can carry. The lack of possessions is his greatest possession of all. Heroes like Reacher exist to defend the innocent and stand up against those who would abuse them. Theirs is a noble quest and that in itself is inherently romantic in the truest sense of the rugged American mythos that birthed the form of the thriller as birthed in the western. Well, what about relationships, you ask? Good question! And let’s consult no less of an expert than the brilliant literary critic Leslie Fiedler for the answer. Fiedler authored one of the premier works of literary criticism in his brilliant Love and Death in the American Novel which postulated that the greatest relationships in American literature are have normally been between two men. Playing off that western motif again, with a little Huck and Jim tossed in for good measure. And we can see that same motif on display clearly in modern thrillers as well. James Fennimore Cooper’s Natty Bumpo and Chingotchgook became Robert Crais’ Elvis Cole and Joe Pike. Or Robert Parker’s Hawk and Spencer, Harlan Coben’s Myron Bolitar and Win, the great James Lee Burke’s Dave Robicheaux and Clete Purcell. These relationships span generations, highlighted by the conflicted give and take that somehow strengthens the bond between hero and quasi-sidekick instead of fraying it. Characters just short of life partners who accept each other warts and all while complementing each other’s strengths as well as flaws perfectly. Hmmmmm, sounds like romance, doesn’t it? Okay, so we’ve got the romantic hero and this whole nature of the bromance. How about one more? Jimmy Cagney once famously said, “Never do a scene with a kid or a dog.” Well, thriller writers are expert at mining both for the kind of emotion normally gleaned from traditional romance. Think about the movie Taken, maybe the simplest story of all time, simple and yet brilliant: a father who’ll do anything to save his daughter. That’s romantic heroism without being romance, because Liam Neeson’s Brian Mills is fighting for something he loves and nothing more. Steve Berry recently featured Cotton Malone’s sixteen-year-old son in an entry in that terrific series, while in The Innocent David Baldacci turns assassin Will Robie into a runaway teenage girl’s protector. James Rollins and Grant Blackwood recently went that one better in The Kill Switch that features not just bookdom’s greatest modern day canine hero, but also scenes from that dog’s POV. No, it’s not romance but it’s emotive; it makes us feel which is the same thing romance does. And that’s the point. Great books, thrillers and otherwise, make us feel something so we’ll respond on an emotional level. And emotion is not synonymous with romance. My female Texas Ranger Caitlin Strong is never going to get with her lover Cort Wesley Masters on a full-time basis, no weddings or babies in their future, because in order to be together they need to be separate. Theirs is a non-traditional romance based on the limitations they’ve accepted in each other, and the maternal instincts Cort Wesley’s teenage sons bring out in Caitlin is emotional gold in my mind. It defines a relationship at its strongest when those boys, or themselves, are threatened by violence. So let’s finish with an example of me practicing what I preach, specifically a simple father-son scene from STRONG DARKNESS that takes place in the elevator of a New York City building between Cort Wesley and Dylan. He snatched the card from his father’s grasp and angled it in front of a lens higher up on the panel Cort Wesley had taken for a security camera. As Dylan held the black access card near it, though, the lens glowed blue and the elevator doors closed. A moment later, the car was in motion, streaking for a floor that shouldn’t have existed with the two of them as the only passengers. “Those jeans are too tight,” Cort Wesley said suddenly, not exactly sure why. “Oh, man,” the boy muttered, as the elevator continue to zoom upward, making no other stops. Now I’d like to hear what YOU think! How about coming up with your favorite example of a relationship packed with feeling and emotion, but not necessarily romance? I’ve got a bunch in mind already, so let’s compare notes. DEBS: Great excerpt, great question!!! REDS and readers, how about some examples? I'm with Jon--I can think of some great ones right off the bat! The Present: Fifth Generation Texas Ranger Caitlin Strong finds herself pursuing another serial killer whose methods are eerily similar to the one pursued by her great-grandfather almost a century-and-a-half before. But that’s just the beginning of the problems confronting Caitlin in her biggest and most dangerous adventure yet, starting off when the son of her reformed outlaw boy friend Cort Wesley Masters is nearly beaten to death while at college. I suspect there are many more examples, but I keep getting sidetracked by thoughts of a new Caitlin Strong book . . . . The aforementioned pairings. Brother Cadfael and Hugh Beringar. Not exactly thrillers--and there was usually a romantic subplot, but the central conversation was about Cadfael and his faith, his broader understanding of the world because he'd been a soldier and how he traded his sword for a different kind of weapon. What a thoughtful essay! And always so wonderful to have you here. I so agree about the time constraints! People always talk about how characters have to grow and change--but it's tough to do that in a two-day span, you know? But how can there be a real person/character without SOME romance? Lewis and Morse. Their relationship turned out to be the central one in Morse's life. Love the excerpt Jon--thanks for sharing. And a thoughtful essay--makes me wonder though, where are all the examples of strong women who demonstrate the concept of romance? One that comes to mind might be Anna Pigeon, Nevada Barr's series character, whose romance is with the wilderness. Ooh ooh, that goes for CJ Box's Joe Pickett, too, though he's also married with kids. LOVE that excerpt, Jon - doing so much with so little. Tension, conflict, smoldering back story. Bravo! And that's such an interesting concept, romantic heroism. Thinking of the relationship between Lisbeth Salander and Mikael Blomkvist. Such a shame we never got to see it played out. Building on Deb Crombie - Lewis and Hathaway. I don't think Hathaway would be where he is without Lewis. I remember the scene in the episode where Lewis is contemplating early retirement and Hathaway says, 'If you go, I go." Lewis is suprised and Hathaway says, "Who else would understand me?" Perfect. And I'm with Hank, if you don't have romance of some flavor, you might not have real people. 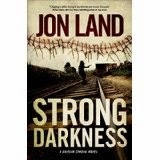 I've always found Jon's thrillers to be a rip-roaring read, and I'm delighted to see there's a new Caitlin Strong book out! As for close, non-romantic relationships*, how about Jane Rizzoli and Maura Isles, from Tess Gerritsen's great series. Two women working in a very male-dominated world who discover the deep similarities beneath their many outward differences. *At least as Tess writes them. My Smithie tells me there's a whole library of Rizzoli/Isles fanfiction out there where Jane and Maura's relationship takes a decidedly more intimate turn. Joan: Great names! I hadn't even thought of Holmes and Watson but it may be the most quintessential example of all, especially in how Holmes is portrayed in the books as opposed to the films. Don Quixote and Sancho is also a great example. Kudos and so glad you're looking forward to STRONG DARKNESS! Fchurch: I'm not familiar with Brother Cadfael and Hugh Beringar but I love your comment about faith. Faith can hold a book together emotionally in some of the ways romance does. That's because romance, in my mind, is really about commitment. We learn more about our characters by exploring what they are committed to just as much as who they are committed too. Hank raises a great point here: But how can there be a real person/character without SOME romance? I agree and sometimes it's the inability of a character to either seek or follow-through on a romance which ultimately defines him as I allude to above in m comment about commitment. This goes to the heart of the rugged American frontier hero who's life and tradition is based on his alienation from humanity and civilization. Think John Wayne in THE SEARCHERS. Kind of what Huck Finn may have grown up to be. The desire for romance but inability to follow through on it can be a very powerful theme indeed. Inspector Morse is a great example, Deb! Thanks for sharing! Believe Rex Stout's Nero Wolf had someone too, didn't he? And, of course, the wonderful relationship between Lincoln Rhyme and Amelia Sachs in those wonderful Jeffrey Deaver thrillers. Now that's a man and a woman that starts as a friendship and develops into something more. Same could be said, many say, for Phineas and Gene in A Separate Peace, but that's another story! Lucy, I love your question: where are all the examples of strong women who demonstrate the concept of romance? Anna Pigeon is a great example, as is Caitlin Strong herself, since they are both women thriving in an otherwise male-dominated world. People always ask me what it's like writing a woman hero and I tell them I write people, not gender. The thing I love about your point is that when women are cast in these roles, especially in thrillers, they end up confronting a lot of the same emotional and romantic issues that men do, vis a vis trying to find a balance between what they love and who they love. And I think one of the things that's emerging in today's discussion is that romance in thrillers is indeed a matter and question of balance. Hallie, you're not just a great writer, you've raised a fantastic point here in Lisbeth Salander and Mikael Blomkvist. I hadn't even thought of them but that's a perfect example. And what I take from it is that when exploring this theme, gender sometimes takes a back seat. That said, the great thing about male-female is that it allows for the kind of building of sexual tension the traditional bro-mance otherwise dismisses. I think that's what Hank was kind of alluding to--not so much romance, as the potential for romance. Like in MOONLIGHTING, the show that launched the career of Bruce Willis. His relationship with Cybil Shepherd's character was a wonder to behold, but it wasn't nearly as good once they actually got together. Mary and Julia: I'm not familiar with the example you site, Julia--sorry. But Mary's mention of Rizzoli and Isles is spot on. I'm curious, Mary, what you think of the depiction of the characters on the television show as opposed to the books. And Tess Gerritsen is one great writer, isn't she? Oops, sorry for the mistake in m last comment. I flip-flopped Mary and Julia. Apologies! How about Longmire and Henry Standing Bear? The byplay between those two in the books is priceless. They have a very long friendship that developed from schoolboy fights. I love Pad D.'s comment about Walt Longmire and Henry Standing Bear. It reminds me a bit of Huck and Jim in that it's cross-cultural, something that strengthens the bonds even more. Same thing could be said for Hawk and Spenser in Robert Parker's seminal series. The interesting thing for me in cases like this is how sometimes the secondary character (like Clete Purcell in James Lee Burke's terrific Dave Robicheaux series) becomes actually more interesting and fun than the hero. Go figure. Like Joan, the relationship that immediately came to my mind was that of Holmes and Watson. Even when Watson is married, his relationship with Holmes is central to his existence. Deb and Mary, Lewis and Hathaway is definitely one of my favorite relationships, and I love the part you quoted, Mary. Julia, Rizzoli and Isles is probably my favorite gal pal working relationship, although they certainly did change it up quite a bit for the television program. Jon, you do indeed bring up topics that make one stop and think. The romantic heroism is a powerful love story for the triumph of good over evil, right over wrong. I'll be thinking about that some more. And, I will be checking out your books. Apparently, I have had my head in the sand where Caitlin Strong is concerned. I will be rectifying that. Thanks for a great post. Christopher Fowler's Bryant and May. Thanks, Kathy, your words mean so much to me. And I love the phrase "romantic heroism"--that basically describes in my mind the classical hero's love for adventure, for purpose and duty that defines him or her above all else. The Greeks taught us that to be a hero, you must be willing to pay a price, and often that price is a painful one in that it costs you the people closest to you and leaves you afraid of ever growing close to anyone again. Another thing I do is request a small fridge be brought to my room. I love having milk and cookies at night while I'm reading before going to bed. So a little fridge is handy for the milk (and then I can have real milk in my coffee too).